Great customer service and knowledgeable friendly staff. I had a great and smooth experience today. Very pleasant staff and friendly customer service. Awesome service department. Vehicle was repaired on time. I was having a pretty awful couple of weeks and especially the day my car was towed in. I was a technician for 12 years and this was the first time I've brought a vehicle in because I couldn't fix it, which made me feel even worse about the situation. Unfortunately for me, I can't program a fob. Robin helped me out, was extremely friendly, provided a loaner vehicle and when I left, I felt so much better just knowing my vehicle was in good hands. They're awesome here - very helpful and thourgh!!! 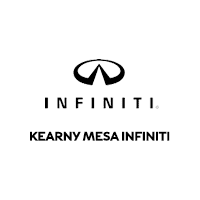 Truly exceptional service thanks to Adam and skilled INFINITI technicians. Extremely happy I chose dealership for my smog related repairs. Test passed! I don't understand why this dealership has so many low ratings. I've had so many positive experiences with them. The service department has always been great, and as I have browsed around the sales floor the staff has been knowledgeable and friendly. The icing on the cake is their amazingly friendly operator, Monica. She is clear, understandable and very friendly. I wish more companies had someone as professional as her on the phone.